More ink has been spilt over Hillary Clinton’s campaign logo than on all of the other candidates' emblems combined. Much of the commentary has come from exasperated Democrats, who are gnashing their teeth and throwing up their hands at the inexplicably chunky symbol that Clinton’s team devised. Twitter went gonzo over the medieval, early-1980s graphic. A "@HillaryLogo" parody account quickly sprung up from the folks at Cold Spark Media to lob satirical grenades about the motif's perceived inelegance. Other outlets were cautiously more complimentary, while still pointing out the stiffness of the overall archetype. All of this attention and consternation, however, actually proved the genius of Clinton's design. In politics, all press is good press. In branding, recognizability is the raison d’être. The laser-focused media spotlight meant that in an unbelievably short time, a vast viewing public got a good look at the former Secretary of State's presidential campaign. The accusations of over-simplicity were in fact its brilliance. Like the iconic 2008 rising-sun “O” of then-candidate Barack Obama, this instantly recognizable “H” gave Clinton an immediate leg up on any other team’s marketing efforts. The Clinton logo features a lust red arrow pointing rightward atop a sans-serif, palatinate blue "H." Designed by Michael Bierut of Pentagram, the sharp, block arrow and the single, spartan letter together recall the simplest of auto-shapes in Microsoft Word. The badge has been compared to everything from the FedEx logo to the "Hospital" sign to the Cuban flag. For several years now, we have used the concepts of logos and branding in our classes to teach visual civics. As avid consumers of visual media, our students become engaged with social studies and political science through the dynamic interactions of advertising, bumper stickers, and presidential insignia. In the last election cycle, we invited kids to rate presidential logos on each banner's ability to communicate candidate values and campaign themes. When our middle schoolers checked out Clinton's 2016 design, they immediately grasped its message of forward progress. They also astutely pointed out that with Clinton's widespread name recognition, she needed little more than an "H" to connect with voters. The greatest asset of Clinton's icon is its flexibility. It can be easily modified to adorn any type of placard or attire. It can be quickly customized to suit any constituency. The campaign has already incorporated a variety of incarnations in its mailings, tweets, and policy proposals. 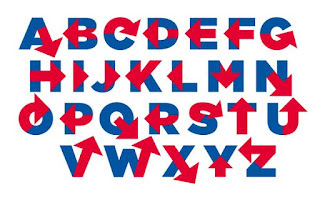 If fact, a quick search of "Hillary logo" in Google Images reveals the impressive malleability of Clinton's crest (albeit in some not-safe-for-work incarnations). The surest signs of a symbol's effectiveness are its subsequent imitations and derivations. Graphic designer Rick Wolff, for example, created an entire tongue-in-cheek alphabet in a new #Hillvetica font. Other designers immediately started redrafting the "H" logo into more contemporary styles (here and here). Political cartoonists had a field day incorporating the block arrow into their Clinton commentaries. If the purpose of a logo is to establish a relationship between the product and the consumer, then Clinton's brand succeeds in spades. Its almost instantaneous market saturation proves its potency. Whether this identifiability leads to an electoral college victory, however, is unknown. But for now, the other campaigns are playing catch-up in the logo department. Last week, the Institute for Economics and Peace (IEP) released the 2015 Global Peace Index (GPI) on its Vision of Humanity website. As with our earlier posts on the topic of peace, and in particular the release of the 2013 and 2014 GPI, we believe that sharing these findings each year helps to establish a deeper understanding of the effects of peace on society. 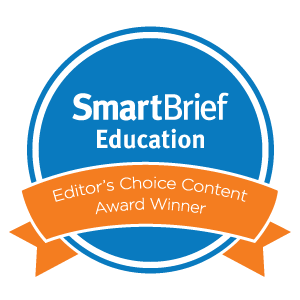 The resources available on the site provide educators with a variety of learning materials, including an interactive map, infographic highlights, and a short motion graphic explaining this year's report. Unfortunately, while peace did not necessarily decline a great deal in 2015, the GPI for this year does reveal an increasingly more divided world. The motion graphic below helps to explain how the most peaceful countries are enjoying increasing levels of peace and prosperity, while the least peaceful countries spiral into violence and conflict. In our classrooms, we receive countless questions from young learners regarding current events with reference to violence both in the United States and abroad. We suppose, too, that so much of what we teach in our history classes involves conflict, conquest, and seizure. It’s no wonder that we get this question every year, “Do you think there will ever be a time without war?” We can only reply with, “We hope so.” The strife and conflict in the news does not bode well for a better answer, and if history is any indication, the prospect looks grim. Nevertheless, we will do our part to educate young learners to be peacemakers, builders, and keepers. 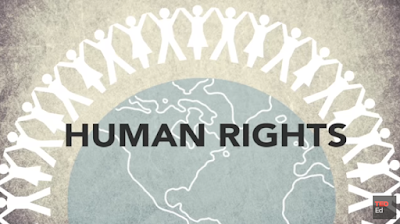 We need young people to believe in social justice, human rights, and peace. The more mindful we are about our actions, the greater the chance for change. This includes talking about divisive issues of racism, immigration, and sexual orientation. We don't want to think about the ramifications if we don't make peace part of the daily conversation. The more voices, the better. Make them heard by preparing now for the International Day Of Peace on September 21, 2015. Oh, what a year it’s been. 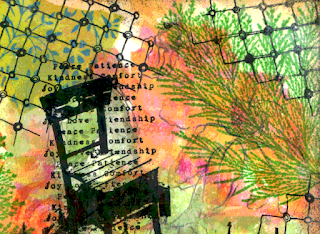 It seems we flew through May without taking a breath as we worked through a myriad of projects. 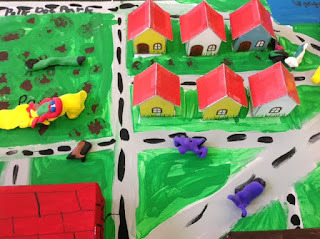 One of our favorites this spring was completed as part of the second grade social studies unit on communities. We collaborated with our colleagues Stefani Rosenthal (@StefRosenthal) and Jessica Raffaelle (@miss_raffaelle) to build a project-based learning unit to answer the question, "Where Do People Live?" More importantly, we wanted to build a visual vocabulary to help support the thinking process using sketchnotes, maps, and three-dimensional design. 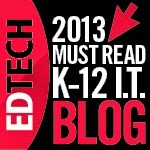 We introduced sketchnoting several years ago to educators at various grade levels. The second grade teachers never looked back. They’ve made it a staple in their toolkit ever since. 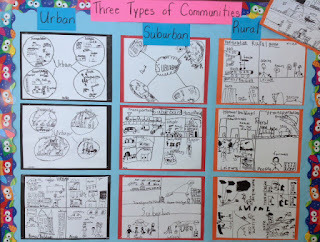 The bulletin board image featured in this post represents the variety of visual thinking strategies that the learners employed to convey the different types of communities, including rural, suburban, and urban. 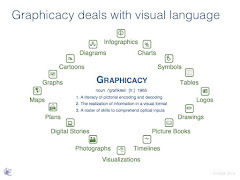 A closer look at the details in the sketchnotes provides a real sense of the selection process that most accurately represents what the students are thinking, not only in the types of visuals, but also in the arrangement of the descriptive information to help them fully grasp the content. 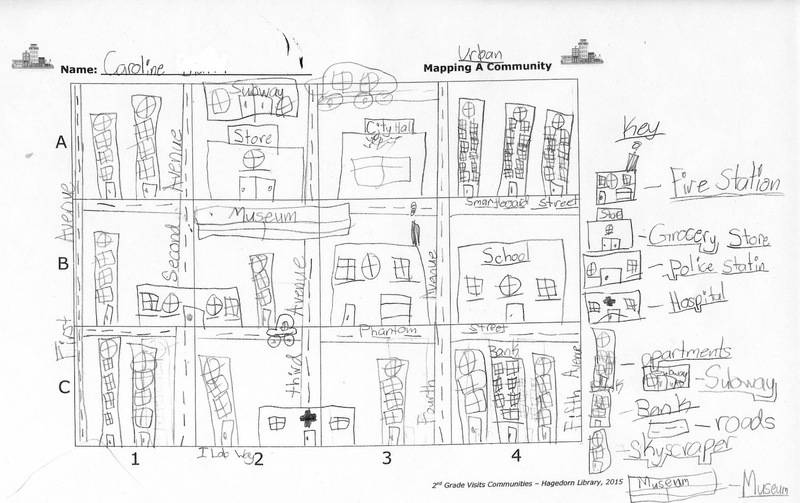 In the next phase of the project, the students mapped out the different types of communities. 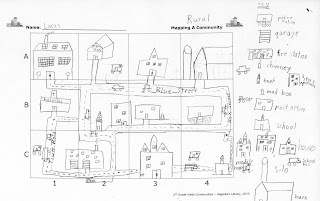 They worked in groups, with each student making his or her own hand-drawn map and key. 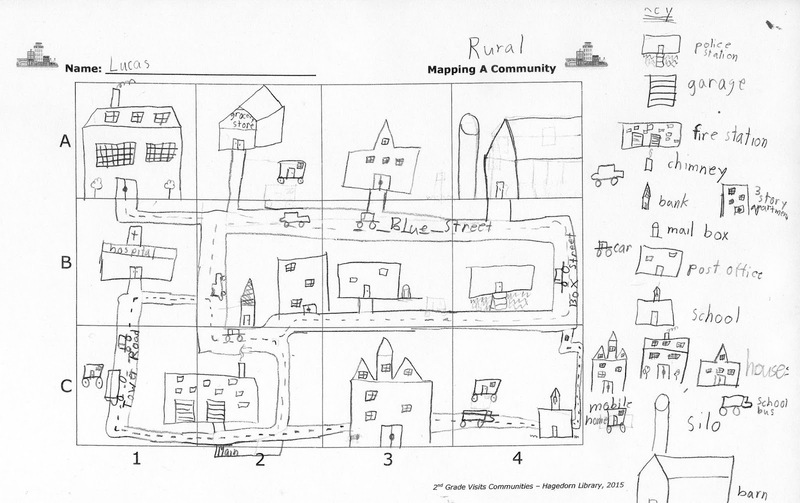 Each community contained certain must-haves, such as police and fire stations, but the land use from rural areas to urban cities made the maps quite different. It involved a lot of discussion and decision-making on their part as to how to design the roads, types of buildings, and homes. This involved a good deal of spatial awareness, and these charming two-dimensional maps with hand-drawn keys represent their visual acuity. The details are delightful, showing barns with silos, swimming pools in suburbia, and skyscrapers in the city. 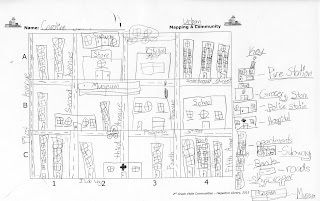 The students absolutely loved making these maps. They even took it upon themselves to add street names. With such strong maps as actual plans for the next step, it’s no wonder that the three-dimensional construction of these communities came out so well. The final piece to the project involved building the actual community in the new makerspace in the library. This took some planning and negotiation within the group, because they had to visually transfer a flat design into a three-dimensional environment. Occasionally, it was not without argument either. We allowed some latitude on this; it was important for them to figure it out for themselves. In the end, they realized the first thing they needed was to lay out the road system. This help them visually see where they would need to place buildings, put in parks, provide for homes, etc. They traced the box bottom on the board, gave it a number, and then coded the bottom of the box with the same number. This made assembly of the final, painted boxes on the map easy. 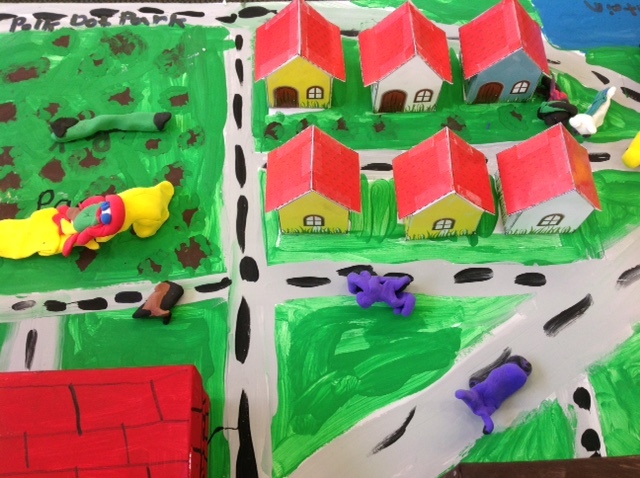 With a little Model Magic, the students added transportation, rooftop playgrounds, and tomato patches. 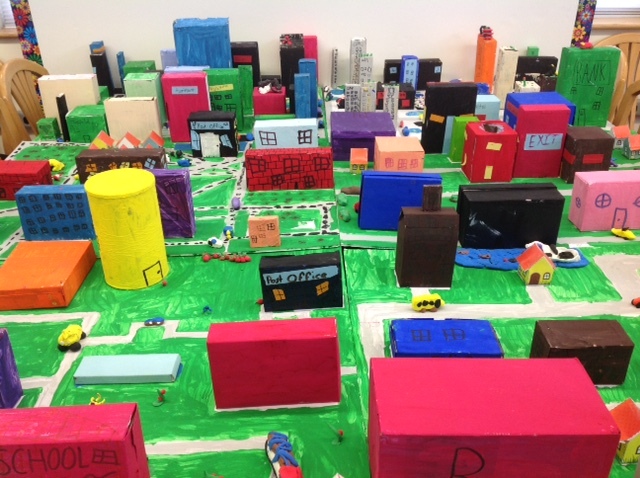 Each phase of this project incorporated visual thinking skills that built upon the previous step. Threading the content through the various stages in the design process reinforced the essential question. The students became independent photo journalists, taking aerial and detailed shots of the maps, and then wrote illustrated reports using the Nearpod app on their iPads. The last thing we did was to use an iPhone as a little drone that traveled through the entire map to take a video of the finished piece as a whole. 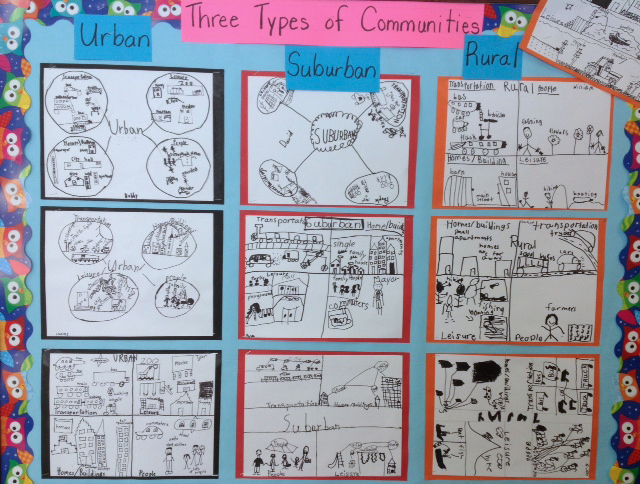 This project did more than just build a deeper understanding of the different types of communities. It fostered a stronger sense of community as a whole; the sense of pride and accomplishment on their faces was priceless.